The Bay Area UASI is responsible for the internationally-recognized, annual, and full-scale exercise, Urban Shield. Urban Shield is a 48-hour continuous exercise conducted throughout the Bay Area UASI region in Alameda, San Francisco, and San Mateo counties. First responders were mobilized and deployed to 38 different exercise scenarios hosted by 23 various agencies. 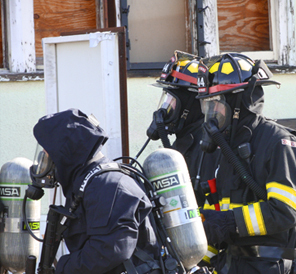 This scenario-based exercise addresses the core competencies and response capabilities of law enforcement tactical teams, emergency medical service providers, hazardous materials/urban search and rescue teams, explosive ordinance disposal teams, as well as addressed intelligence and critical infrastructure protection.